Long before they became a staple of video games, RPG or ¨Role Playing Games¨ were the best way to leave this mundane world behind and live out an alternative life as someone else. The most well-known tabletop RPG is undoubtedly Dungeons and Dragons, developed by the late Gary Gygax. However, today there are many different games that build on the basic tabletop RPG design. Ultimate Beginner Question: What Is an RPG Exactly? In case you didn’t know, an RPG is a deep genre of game that relies heavily on narrative. What does that mean? It means these games are strongly reliant on their stories. In fact, you can think of this less as a game and more like a story that a group of people sit and write together in real time. No one knows exactly what that story will be, but with the help of the game’s design you can have some truly amazing experiences. As a player in a tabletop RPG, you’ll take on the role of a character. Almost always this is a character that you yourself have created from scratch, although the rules of the game will guide you when it comes to what is allowed. The other players around the table also bring their own characters to the adventure. Together you must brave a scenario or an entire campaign. Who knows how it will all end? The truth is no one knows exactly what will happen during a tabletop RPG session, but there is method to this madness. How Do Tabletop Games Work In General? While there is a huge array of tabletop RPGs on the market, you´ll find that most of them share the same basic elements. The bedrock of any such game is the rule system. Some rule systems are complex and heavy. Dungeons & Dragons is an example of a rule-heavy system. When there are many precise and sophisticated rules, it means no one ever has to worry about how to handle any situation. In everything from crafting your character to positioning in combat, you just have to refer to the rulebooks in order to figure out the correct way forward. Literally, for anything you do the rules will have some way to account for it. With these rule-heavy RPG systems you can expect games to take a significant amount of time to complete. In fact, it’s completely normal for campaigns to take weeks or months. Combat takes a long time to resolve and, of course, there’s way more literature. Often you’ll need to buy several books in order to have all the information at hand to play the game. Rule-light systems take a much looser approach to the whole RPG thing. They don’t take as long to set up or play. There’s a lot more flexibility when it comes to shaping things the way you want. These games are also a lot cheaper and don’t require as many accessories. Speaking of which, all tabletop RPGs require a game master. This person is not a player, but the one who hosts the game. This means they prepare the story – the various challenges and events and everything else needed to make the game run smoothly. 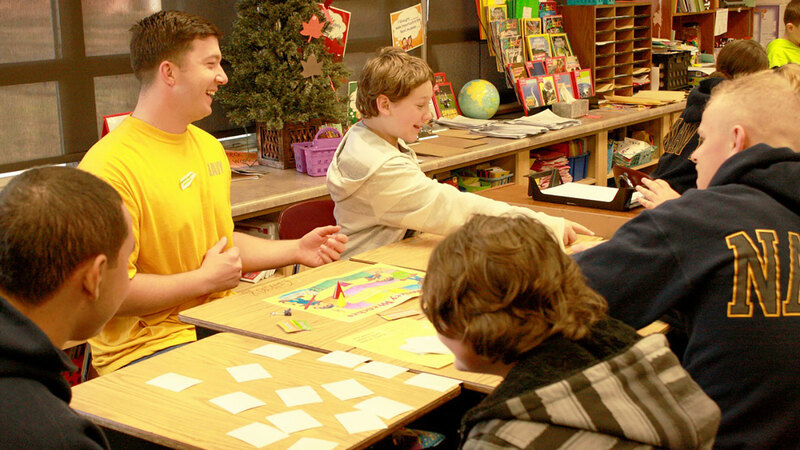 The game master is also the one who enforces the rules during the game; making sure things happen fairly. The most important role that the game master plays is to bring the story to life. He describes the scenery, the scenario, and characters. He voices the NPC, or non-player characters, and confers any information the players might need. A good game master is the heart of a legendary RPG session. 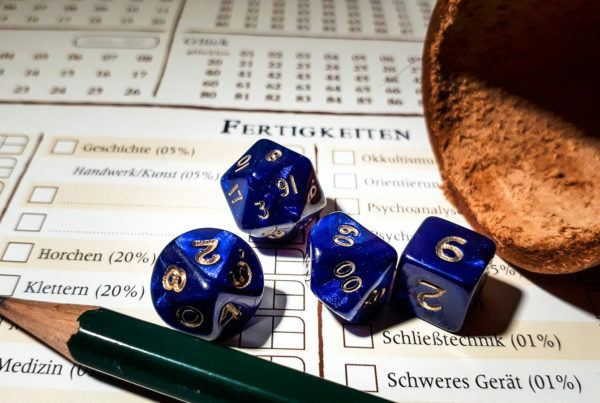 In order to run a tabletop RPG you’ll need some stuff – stuff that costs money, although in this day and age you can make do with plenty of free stuff as well. The exact nature and number of accessories will vary from game to game. Gamebooks are the core of the equipment you need. Most tabletops RPGs have core books which you absolutely need in order to play. Then there are optional books that might be right for what you want to achieve with your session. These can include special scenarios, deep lore about settings or creatures within the world, and much more. There are also physical tools you’ll need. Dice feature prominently in tabletop RPGs. Before computerize gaming these simple plastic objects were used to create a source of randomness. RPGs use dice rolls to determine things like whether your sword hit that goblin on the head or not. Does your thief successfully pick a pocket? Well, that depends on their base abilities plus a dice roll, and on how high the game master set the difficulty of the action. These aren’t just the six-sided dice everyone knows, either. There are four-sided, five-sided, eight-sided, ten-sided, and, of course, the iconic twenty-sided dice. The rules of the game will explain which dice you need and how they are meant to be used. There are also character sheets, battle charts, and other paper-based aids to keep your facts straight during the course of the game. While you have to buy most of this stuff, you can simply download or photocopy a lot of the consumable items to save money. Dungeons and Dragons might be the best-known tabletop RPG in the mainstream world, but that doesn’t mean all tabletop RPGs are set in high-fantasy settings. In fact, you can find tabletop RPGs in just about every fiction genre you could imagine. There are plenty of science fiction games. Post-apocalyptic ones. Horror is represented well. There are also plenty of tabletop RPGs that are adaptations of properties from books, film, video games, and television. So if you don’t particularly like fantasy, there’s nothing stopping you from role-playing as a starship commander or a detective in a murder mystery. Systems such as GURPS are not geared to any one particular genre but will work with any setting. 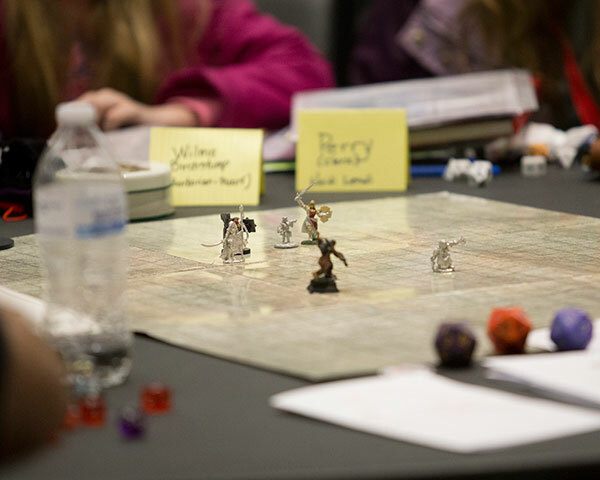 The traditional conception of tabletop RPGs is as a group activity. Lately, however, there have been some releases that only require one player. It’s a little like those Choose Your Own Adventure books. There is no game master and you are guided by the campaign book. You still have to play as usual – rolling dice to see what the outcome is, and so on. Tabletop RPGs on a Computer?! Computer RPGs or “CRPGs” such as Baldur’s Gate have done their best to bring the experience of a tabletop RPG to computers. There’s no doubt that many of these games provide an amazing experience, but they are a different animal completely when compared to the traditional RPG experience. That doesn’t mean that technology is anathema to tabletop RPGs though. Tablet computers and technologies such as Skype can enhance tabletop games in ways that weren’t possible before. 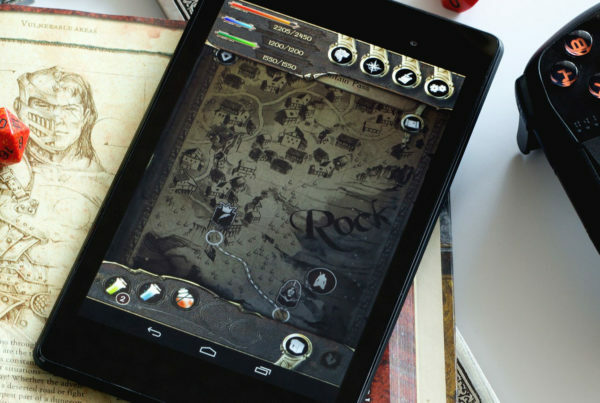 There are plenty of apps that can stand in for physical dice, store your character sheets, and take care of much of the often tedious housekeeping involved with tabletop play. The other big pain with tabletop RPGs is getting the band together regularly in order to advance the story. Unfortunately, modern life makes it harder and harder to commit to being in one place at a particular time. Players have started using Skype and other video conferencing applications to run their sessions. This makes it much easier to join and participate in sessions without all the hassle. There are also programs that allow for multiplayer tabletop simulation. The most well-known is probably Tabletop Simulator, which creates a virtual room where players can play anything from chess to D&D. What Makes Tabletop RPGs Awesome? 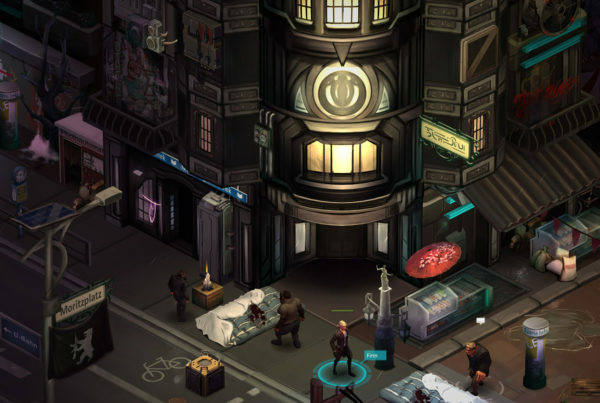 There’s a reason that tabletop RPGs have so far survived the video game revolution. There’s one area in which computer games haven’t yet caught up to this form of gaming; it’s not even likely that they ever will. I’m of course talking about the narrative flexibility that tabletop gaming provides. There is no computer program today that can react and adapt the way a pencil and paper campaign can. It’s an expression of the most fundamental human tradition – storytelling. That’s what makes these games so awesome. © 2019 Table Knight. All Rights Reserved, Table Knight.